MANILA, Philippines - A total of 24 artists advanced to the Sing-offs round after winning the Battles on respective teams on 'The Voice Kids' Philippines Season 3. Team Sharon has completed the Top 8 artists in the Battles round. 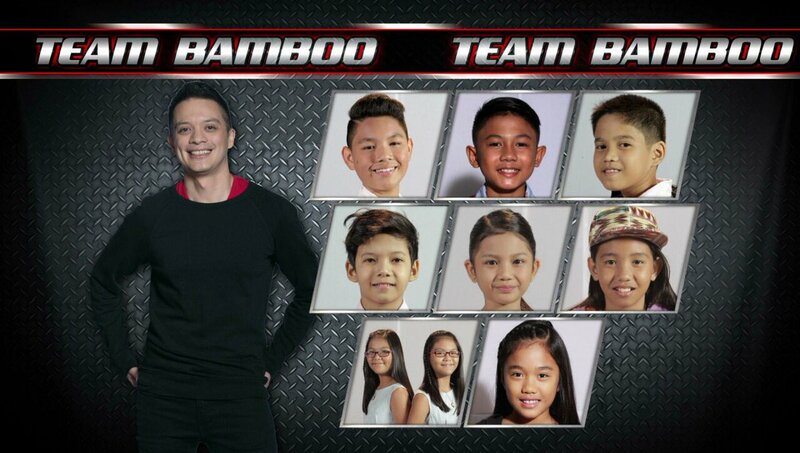 On Saturday, coaches Lea Salonga, Bamboo Mañalac and Sharon finally completed their Top 8 young artists. The Sing-offs which will start on Sunday will follow the format of the previous season wherein remaining artists pit for one of the spots per team in the Live Shows. But, instead of having two artists per team, three artists per team will be advancing to the Live Shows. 1. Yessha dela Calzada - "Rain"
2. Noel Comia Jr. - "Growing Up"
3. Ragen Angel Peñaflor - "Empire State of Mind (Part II) Broken Down"
4. Joshua Oliveros - "Ngayon at Kailanman"
5. Kate Escol - "Counting Stars"
6. Peter Vallejos - "Bonggahan"
7. Yssa Marie West - "Walking on Sunshine"
8. Wayneheart Claire Geonzon - "Born This Way"
1. Kyle Philippe Mallari - "Almost Is Never Enough"
2. Bernard Badato - "Doo Bidoo"
3. Kenneth Agustin Bardinas - "Hari ng Sablay"
4. Justin John Alva - "I Won't Give Up"
5. Princess Aliya Rabara - "Dream a Little Dream"
6. Xylein Herrera - "Can't Stop the Feeling"
7. Ezra and Elisha Villaluz - "Emotion"
8. Wyllian Heart Salvador - "Mirrors"
1. Antonette Tismo - " I Turn to You"
2. Timoty Pepito - "Hataw Na"
3. Ian Joseph Prelligera - "Kailangan Kita"
4. Hannah Hakami - "Focus"
5. Alvin Dahan - "I Believe I Can Fly"
6. Gella Vergara - "Healing"
7. John Carlo Tan - "Pusong Ligaw"
8. 8. Sharla Mae Cerilles - "On the Wings of Love"
Who's your favorite artist artist so far to win 'The Voice Kids' Philippines Season 3? Tell us in the comment section below.